Inside Line F1 Podcast - Tim Cook To Replace Ron Dennis At McLaren? Yes, another one of those titles where we urge you to judge our podcast by the title, or not. Disclaimer: we're only having fun and we hope you do so too. In the Apple-McLaren story, we wonder if Tim Cook could be the man to turn McLaren around. And how is it that despite attracting iconic brands such as Honda, Fernando Alonso and now Apple (possibly), McLaren isn't able to repeat its iconic performances. Fernando Alonso - is he penning an autobiography? We love the Alonso 2.0 at McLaren and let's hope he publishes his funny radio messages, if nothing. And, our love for him shot through the roof after he declared that he wouldn't be interested in Pokemon GO! As for Honda, they've expanded operations to supply to a second team in Formula 1 in the near future. Is this the real reason behind their expansion? Well, our investigative reports indicate otherwise. Oh and they also say that they're ahead of Toro Rosso. While this claim may defy some logic, we try to prove their point. A decade since Lewis Hamilton's first ever Formula 1 test. We talk about his legendary career and hope that we don't lose his talent to Hollywood or Music! A Hamilton vs. Vettel vs. Alonso vs. Raikkonen vs. Verstappen battle would be stuff that dreams are made of. Would Liberty Media have the liberty to engineer such duels in the near future? We also bring focus to Anthony Hamilton's views on Motorsport and how expensive Motorsport already is, how a draft selection policy would be good for Formula 1 but could be too cool for Formula 1 to implement. But, if drivers had performance targets, Kimi Raikkonen would've been shown the door this year. Yes, we talk serious stuff too, here's proof! 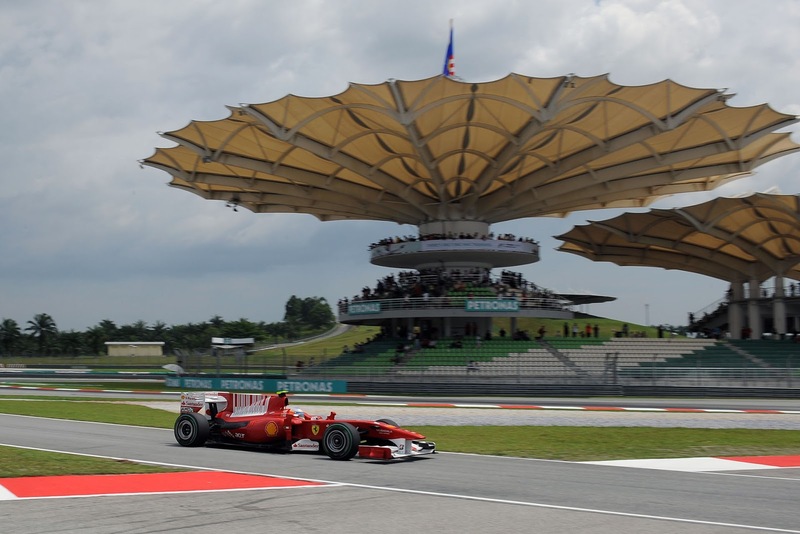 Formula 1 plans to exploit their gaming and gambling potential. We tell you who their Chief Gaming Officer could be, but no points for guessing the one man most worthy of the Chief Gambling Officer for the sport. Have you seen Daniel Ricciardo smile all by himself in pre-podium ceremony? We tell you the secret of his laughs. Shockingly and boldly enough, Ricciardo has rallied his support behind Nico Rosberg for the Drivers' Championship title. We've a short piece of advice for the Honey Badger - beware of the trolls this week! Is Abu Dhabi Grand Prix the Pastor Maldonado of Grand Prix circuits? 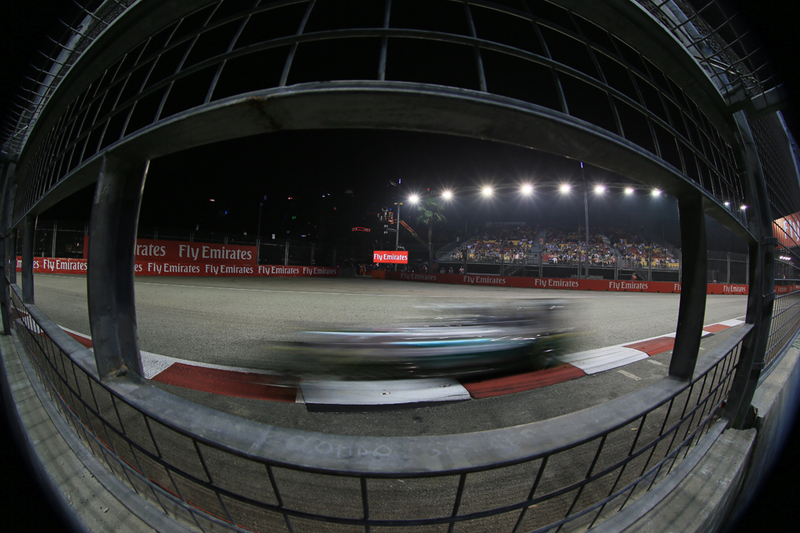 With Malaysia coming up this weekend, will Rosberg's 'FOMO' drive him to yet another 'first ever' win? But before you pick your winner, remember: Hamilton has always finished ahead of Rosberg at Sepang, will it be any different this Sunday? 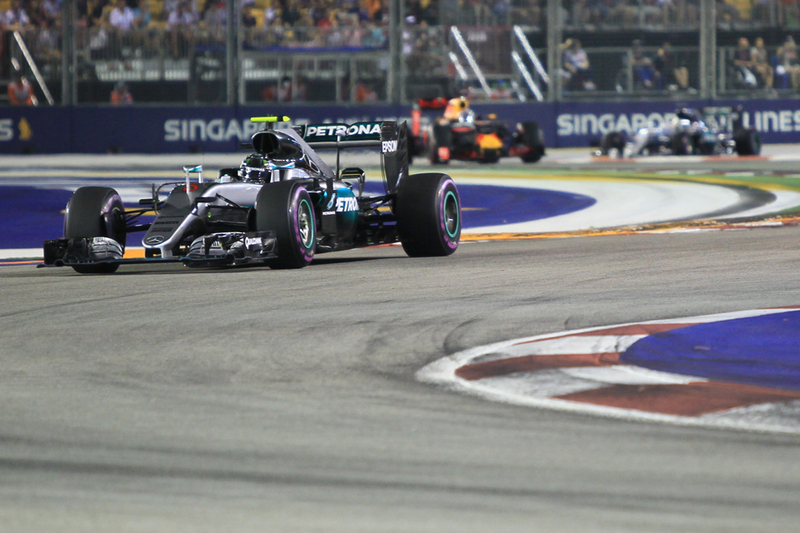 Last weekend's Singapore Grand Prix felt like an important one. The title battle had been close already, but you'd hardly know that we had one. That was until Nico Rosberg's triumphant time of it, which unlike his previous wins caused a rather frantic recalculation of his potency. And it had a strong echo from the recent past, eight years ago prior to it with Felipe Massa's rise to oh-so nearly win the title then. The parallels were uncanny indeed. There are several bees in this author's bonnet. A few of them have been there a while too. One such member of the insect community buzzing around in there is about the importance of appreciating context. Of not relying solely on the top-level outcome in drawing your conclusions. And today's Singapore Grand Prix provided just the latest evidence to back the wisdom up. One who wasn't watching might look at its finishing order and sigh. The top three was exactly the same as the qualifying order. The top four the same as at the first turn. 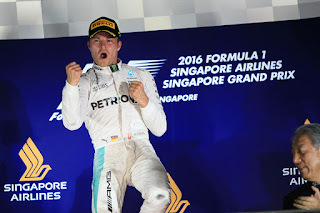 Nico Rosberg had kept his lead too, thus surmounting the most obvious barrier separating him from an imperious march to victory. Singapore for all of its charms doesn't provide much in the way of opportunities to race. Processional fare is common. For more reasons than one it reminds some of Monaco. But this time, not a bit of it. Well not at the end at least. Up until lap 45 of 61 it was indeed a lot like those reaching their conclusions early might have assumed. The top four circulating mainly at a respectful distance apart, all had done their stops apparently and were rather cruising home in their current order. Rosberg after his breakthrough of qualifying, akin to Felipe Massa's at this track eight years previously, unlike Felipe was going to make good on it in the race too. There was no professional foul to scupper him, indeed even as Singapore races go generally this was rather a sedate one. The only safety car appearance was early and brief. Nico did win, but boy did we have a twist, And boy it got close. 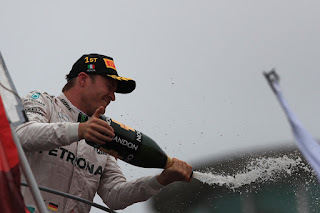 At what point do we consider Nico Rosberg a contender for this championship? Even as he won races, snuck up on his team mate Lewis Hamilton to be just two points behind in the 2016 drivers' table heading into this one, the only thing noticeable about this dog was that it resolutely refused to bark. Still almost no one was talking about the title's destination. That one by consensus remained set. Many, this author included, maintained that one way or another, in the end, Lewis will prevail. In fairness that's always what had happened before. 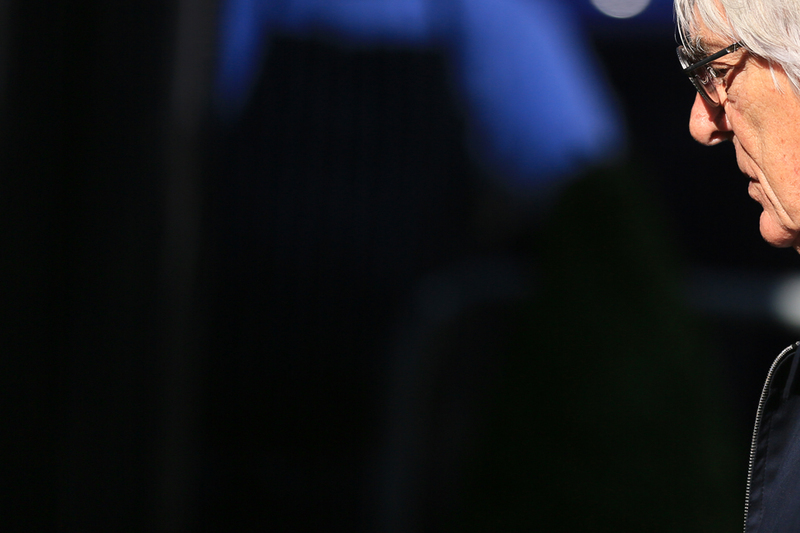 But today's Singapore Grand Prix qualifying session likely will have caused some frantic re-calibrations. At this one, possibly the greatest challenge of the year, probably Monaco aside the most vital pole to win given the difficulties in overtaking, Nico not only took the pole position but wiped the floor with all rivals in doing so. A few of the suggestions around that Nico doesn't belong in this fight - is there by some strange default - surely will have been dashed. It certainly felt something like an affirmation. Singapore has previous for such things. Go back to 2008 and replace Nico's name with Felipe Massa and the parallels are almost to the point of being spooky. 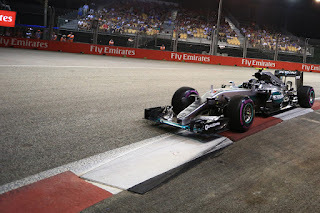 Just like the German Massa headed to Singapore in the drivers' championship mix on points, but with many observers struggling to take the fact seriously. Assuming that the self-same Lewis Hamilton would have the year's big prize gravitate to him eventually. Then around the Marina Bay circuit Massa seized pole position and by a country mile - upwards of six tenths of a second. Suddenly even the most resolute Massa critics went 'woah...'. Bernie Ecclestone is (and has for some time been) a British businessman who holds the position of chief of F1. Crucially, he effectively controls all commercial rights to the sport, putting him in an immensely powerful position when it comes to sponsorship and so forth. Back in 1997, before the General Election that would put Blair's Labour Party in power by a landslide, Ecclestone secretly donated £1million to the Labour party. 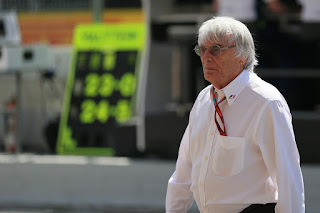 At the time, Ecclestone was heavily involved with tobacco companies, agreeing with them lucrative sponsorship deals, out of which both he and the sport were making a considerable amount of money. The latest episode of the Lights to Flag podcast is here, and Ewan and I were delighted to be joined by Krit from Literal F1 to preview this weekend's Singapore Grand Prix. We look in depth in at a round that on and off the track is modern F1's standout, and is Mercedes really on the back foot for once? And with Liberty Media's purchase of a stake in F1's commercial rights confirmed we discuss what it could mean for the sport. You can listen by clicking play below. We all know the one about the F1 calendar's gradual shift eastwards in the last decade or so. It hasn't always been loved either. Often with good reason. But there's one such new-fangled race that can be considered not at all a failure. Instead it is a favourite and was thought part of the furniture in double-quick time. 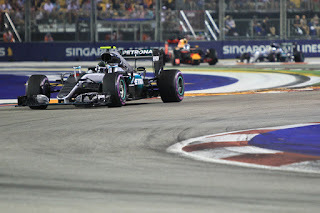 And the race is this weekend; the Singapore Grand Prix around the Marina Bay circuit. There are several reasons why this is, but an overarching one is that it just seems very F1. Or rather very what F1 would like to be. It is a glittering, vibrant event in which the visuals rarely fail to look stunning. For several reasons, this one feels a lot like the Monaco for the new millennium. Just like Monaco, Singapore is a city state that is a quintessential F1 host, to the point that you wonder at quiet moments quite why a Grand Prix wasn't established here decades ago (although a 'Singapore Grand Prix' under Formula Libre regulations existed between 1961 and 1973). It is glamorous, dripping with money and gives the impression of tearing towards the future. The latest episode of the Lights to Flag podcast has landed, and in this one Ewan and I look at the Italian Grand Prix just passed. It was race that didn't thrill, but still the weekend gave us plenty to talk about, and Ewan and I explore various of them: among other things Lewis vs. Nico, whither Ferrari, as well as the many signs of F1's changing of the guard. You can listen by clicking play below. As ever you can interact with the podcast via its Twitter account and on its Facebook page. If you want to appear on it give us a shout too. And on next week's episode we'll be previewing Singapore, so if you have comments then get them to me via the various channels and we'll read out the good ones! Inside Line F1 Podcast - Nico Rosberg Suffering From Major FOMO? 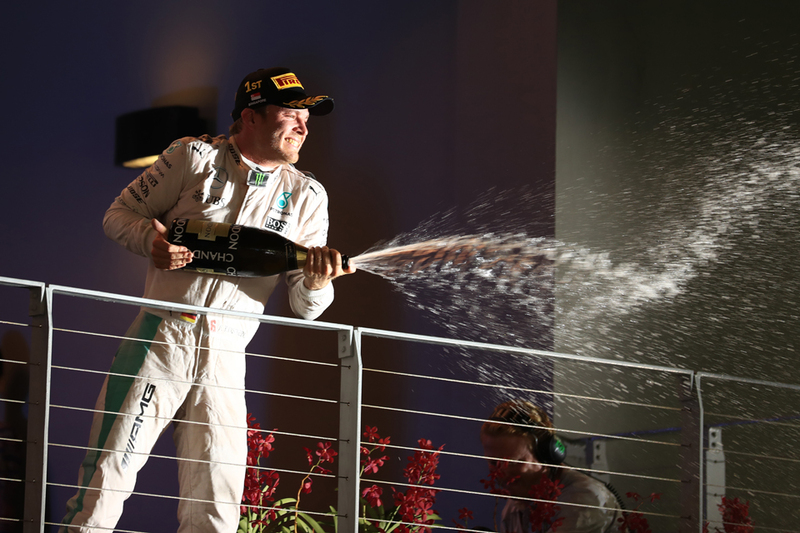 Nico Rosberg has done it again - surprised the hell out of us, that is. He won his first ever race at Monza, right on the heels of his first ever win at Spa. He also won his first Driver of the Day award! Is his FOMO, or 'Fear of Missing Out' driving him? The BIGGER question is, will it culminate into his first ever World Championship victory too? The Inside Line F1 Podcast turns football analyst as we analyse the friendly match between 'F1 Stars vs. All Stars', held on the pit-straight in Monza. Fernando Alonso was the best player (because football does not need an engine), Jolyon Palmer scored an own goal (no surprises) and Max Verstappen was the best defender (did anyone get hurt?!) We wonder whether Daniil Kvyat was demoted to the bench! 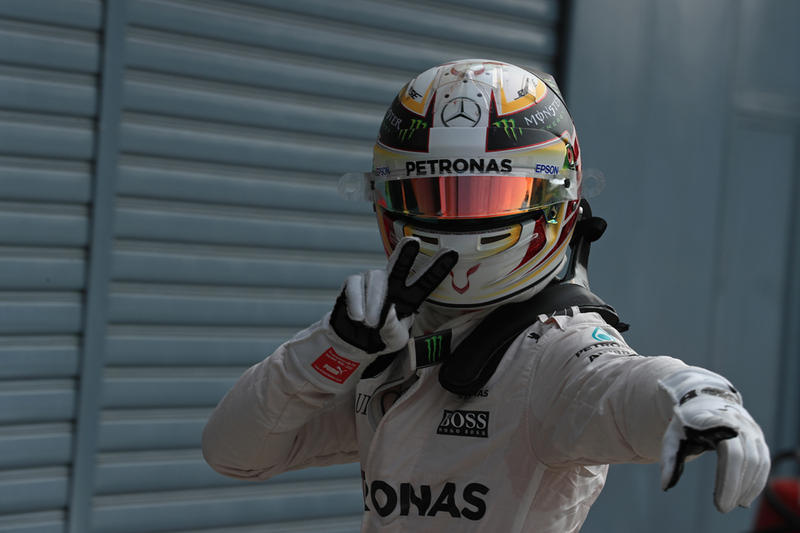 Are Lewis Hamilton's starts from pole position jinxed? We talk about manual starts, the one thing making the 2016 season exciting (apart from Max Verstappen). Manual starts are awesome because you have some drivers gaining positions, others losing positions - and some just blaming the clutch! The podium celebrations at Monza were more fun than the race itself. We loved Rosberg's podium performance (did it give Lewis 'Rockstar' Hamilton a complex?). 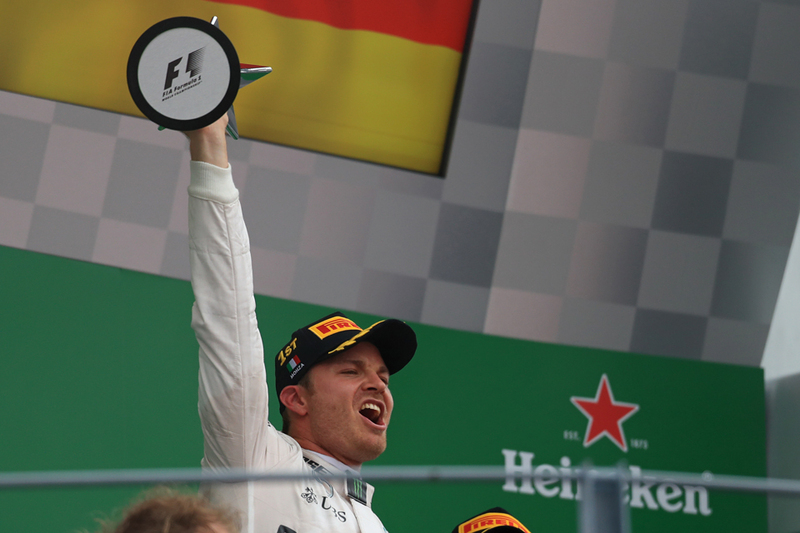 If Rosberg ever applies to Ferrari, we are sure his Italian speaking skills will be helpful! 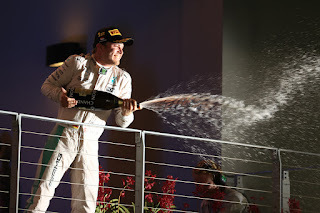 We also tell you why Rosberg chose to sing that particular song apart from the fact that it is super catchy! Why was Max Verstappen unusually subdued at Monza? Perhaps we should have a 'chat' with young Max, because everyone seems to want to have a chat with him! Was Daniel Ricciardo's overtaking move on Bottas THE move of the season? Constructor battles are heating up as Ferrari closed the gap to Red Bull Racing and Williams continued to fight Force India. We give you our predictions on what lies ahead in these battles. How did Bottas's changed helmet help him beat Ricciardo in qualifying? We have big news from the September 'silly season'. Felipe Massa announced his retirement from Formula 1, who will replace him at Williams? Jenson Button is taking a sabbatical next year, seems McLaren has a hard time letting go of its World Champion drivers. Button is going to spend 2017 doing what all retired drivers do - without calling it a retirement! Next in the line of retirements could be none other than Bernie Ecclestone - buzz has it that F1 is set to change ownership soon. Will that be for the better of the sport? To again employ the increasingly-said F1 euphemism, that wasn't the most entertaining race. Still there was intrigue around in the Italian Grand Prix if you dug a little. Not least that the outcome - a Nico Rosberg win - looked a world away for most of the weekend as his team mate Lewis Hamilton dominated. But even in the Englishman's qualifying afterglow the ways in which things could change very quickly could be foreseen, not least because we have witnessed similar already this year. That the Mercedes' starts haven't always been great, and if you lose places off the line in the modern sport it's very difficult to turn it around. For a few reasons. And it turns out we're quite good mystics, as that's precisely what happened. To think that we were convinced that someone, somewhere, was smiling on Lewis Hamilton just lately. I guess this one in Monza you can file under redressing the balance. Yin and yang. For most of the Italian Grand Prix weekend though it appeared that Lewis wouldn't need any of the luck that he might have been benefiting from in recent times. He looked on utterly dominant form, and rather relishing the fact too. Almost gleefully braking later than late and throwing his car expertly through Monza's chicanes. He certainly looked gleeful out of the car. And it all added up to a half second advantage over his Mercedes team mate Nico Rosberg next up in the final qualifying order, a margin between them almost unprecedented. And at a track with but a handful of corners. And the two Mercedes were as per Sebastian Vettel's lucid words "in a world of their own". As with the gap between the two Mercs, this also was the expected situation but was manifesting itself to a greater extent than usual this time. Yet even in the afterglow of Lewis's qualifying effort paths that diverged from his imperious march to victory could be, and indeed were, charted. The run to the first turn is a very long one here; the Mercs' starts have been of variable quality in 2016 thanks to an 'inconsistent' clutch. Lewis stood aside and turned to the room of assembled hacks pointing at the screen with the broadest of grins and a satisfied nod of his head. The message was clear - did you see what I just did? Good, wasn't it? It was Lewis. It was. Yep, if the Mercs this weekend at ultra-fast Monza were in Vettel's words "in a world of their own", similar could be said about Lewis in relation to his team mate. He's simply been on another level to everyone from around the mid-point of Friday, and if anything has seemed to stretch his advantage ever wider since. 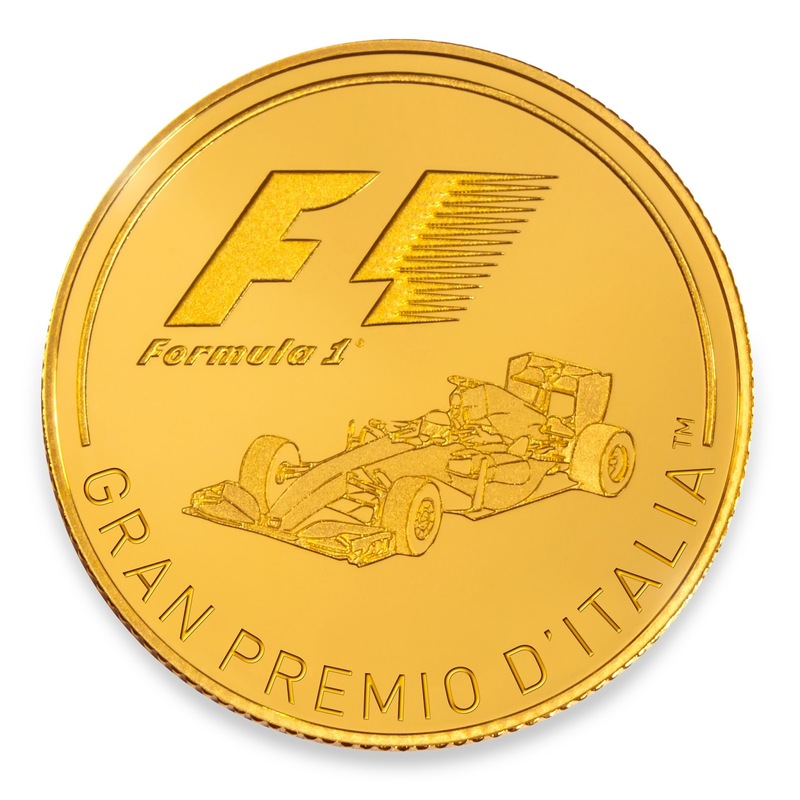 You may recall a few weeks back me writing about premier precious metals asset firm Rosland Capital releasing and distributing The Formula One Collection, a new limited edition series of F1 themed coin collections. 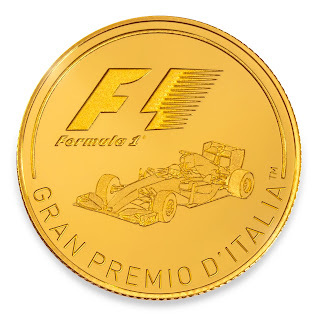 This collection includes individual one-quarter ounce gold coins to celebrate four of the most prestigious modern-day Grands Prix specifically. 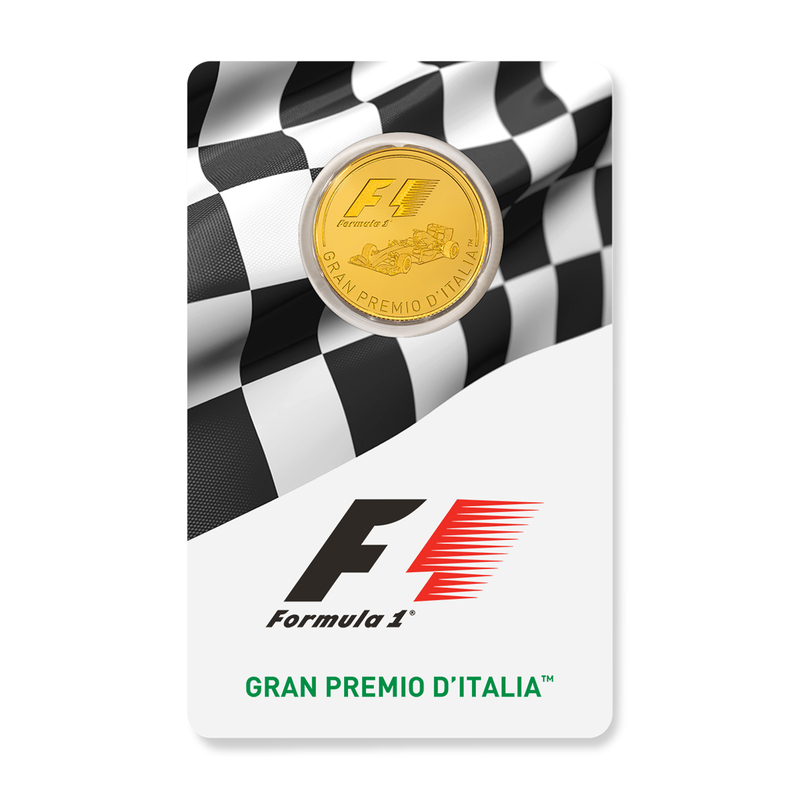 And of course there are few as prestigious as Monza's Italian Grand Prix which takes place this weekend, and the limited edition .25oz gold coin celebrating the Formula 1 Italian Grand Prix is now available. Minted by Swiss-based PAMP and distributed by Rosland Capital, the front of each coin features the official Formula 1 logo, a striking representation of a 2016 F1 car, and the name of the event in Italian - Gran Premio d'Italia™. The obverse features Ian Rank-Broadley's portrait of Queen Elizabeth II, the legal tender value of the coin, the year of issue, and the metal fineness. 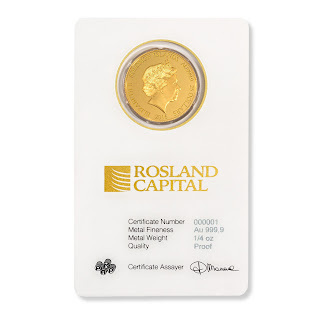 You can follow Rosland Capital's Twitter page to stay up-to-date on more Formula 1 coin news, with releases for the Brazilian and United States Grands Prix to come. 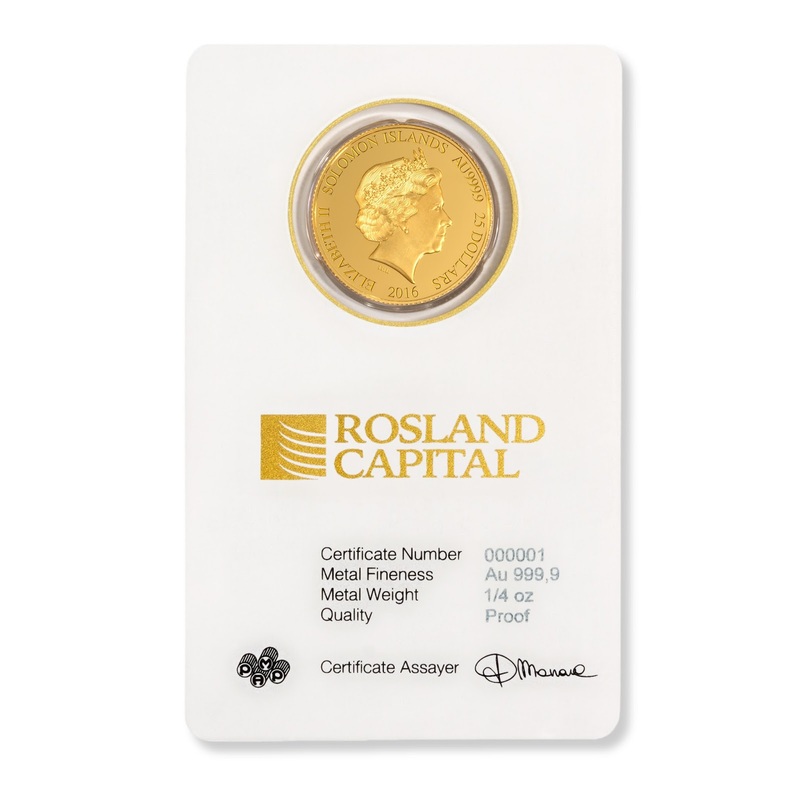 And if you'd like more information or are interested in purchasing one of these then you can visit this page on Rosland Capital's website.